Minister for Local Government and Housing, Kevin Stewart and East Ayrshire Councillor, Douglas Reid attended the opening ceremony of our new housing development at Hill Street, Kilmarnock. The new housing development consists of 57nr affordable housing units for Cunningham Housing Association Limited. 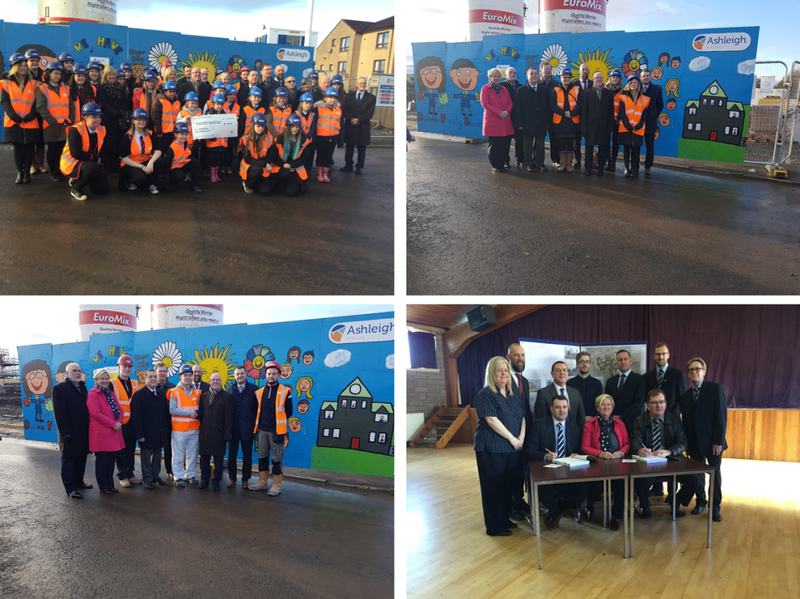 The event was also attended by pupils from Kilmarnock Academy, St Joesph’s Academy and Hillhead Primary School who were involved in painting the hoarding around the perimeter of the site. This development has also allowed us to continue our investment in our Apprenticeship Programme, which has seen us take on four new apprentices this year.